This book demonstrates how to control mechanisms of contact mechanics, heat generation and transfer, friction, noise generation, lubrication, and surface damage due to mechanical and thermal variables. 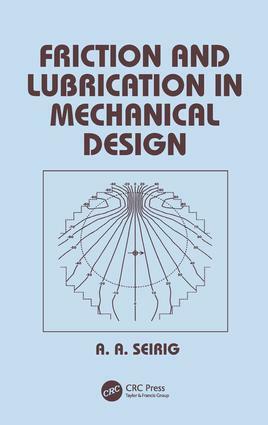 Friction and Lubrication in Mechanical Design reviews various classical and new tribology problems beginning with history and ending with numerical optimization and examples, simplifies access to information for predicting and preventing friction and wear, and provides a useful tool for everyone involved in mechanical design, or in machinery monitoring. "…covers various classical and new tribology problems beginning with history and ending with numerical optimization and examples. ..[a] useful tool for everyone involved in mechanical design, or in machinery monitoring." The contact between smooth surfaces; traction distribution and micro-slip in frictional contacts between smooth elastic bodies; the contact between rough surfaces; thermal considerations; in tribology; design of fluid film bearings; friction and lubrication in rolling/sliding contacts; water; case illustrations of surface damage; friction in micromechanisms; friction induced sound and vibration; surface coating; some experimental studies in friction, lubrication, wear and thermal shock.